OPEC, in its latest Monthly Oil Market Report, raised its forecast for global crude oil demand to 95.60 million barrels daily, up by 1.16 million bpd from the estimated 2016 average of 94.44 million barrels daily. This is a slight upward revision from the previous 1.15 million bpd estimated for global daily oil demand this year. The group said that the upward revision was prompted by a “better than expected performance” in the European and Asia-Pacific members of OECD, especially thanks to an expected increase in demand in Europe in the first quarter of this year. Demand for oil produced by OPEC members, the report went on, is estimated at 32.1 million bpd, up by almost a million barrels from the 2016 estimate of 31.2 million bpd. 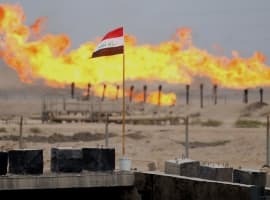 On the supply side, OPEC said that production of non-members this year is likely to rise by 120,000 barrels daily, after an estimated 710,000-bpd decline last year, thanks largely to expectations of higher oil production in the U.S., which will offset declines in Norway, Russia, China, Kazakhstan, and Congo – all parties to the December agreement with OPEC to prop up international oil prices by cutting output. Earlier this month, a number of OPEC members, notably Saudi Arabia, Iraq, and Kuwait, told media that they are fulfilling their obligations under the production cut agreement, with Saudi Arabia’s Oil Minister Khalid al-Falih noting that the kingdom had gone beyond its quota and had cut more than its share of 486,000 bpd. Russia has also confirmed it has started cutting output, by 100,000 bpd initially, to rise to 300,000 by the end of the six-month period that the agreement will be in force. Prices immediately jumped after each of the announcements, although hard evidence is yet to be seen. According to OPEC’s head, Mohammed Barkindo, world inventories of crude oil should fall by the second quarter of the year. Earlier this week, al-Falih said that the agreement won’t need to be extended beyond June 2017 as its will yield results by then.